Ever since the world’s largest network of videos was created, users have yearned for to play YouTube with screen off. Despite all the cool features of the YouTube, Google reserved the off-screen playback for paid subscribers of YouTube Music Key. YouTube Music Key service has now been upgraded to YouTube Red, with ad-free background playback. 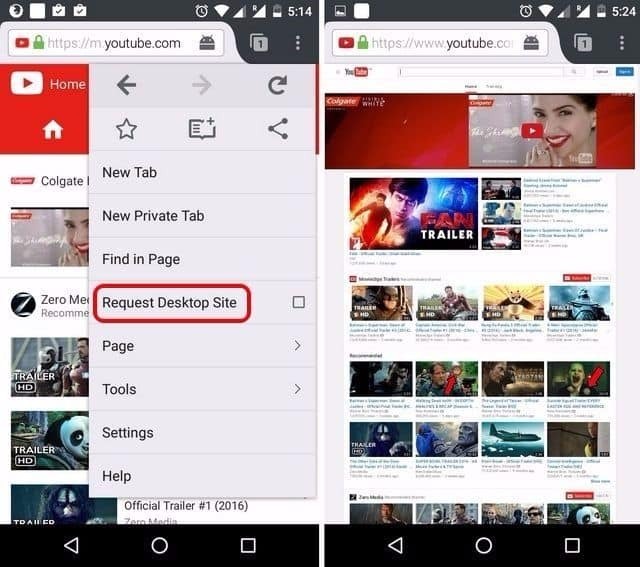 We have already covered how to get rid of YouTube ads, so here is a guide to help you play YouTube with screen off on Android. As great as Google Chrome may be for your Android device, it doesn’t enable YouTube playback with the screen turned off. To get this awesome feature, you need the Mozilla Firefox browser for Android. Simply search for Firefox in the Google Play Store app or download it using the link given below. 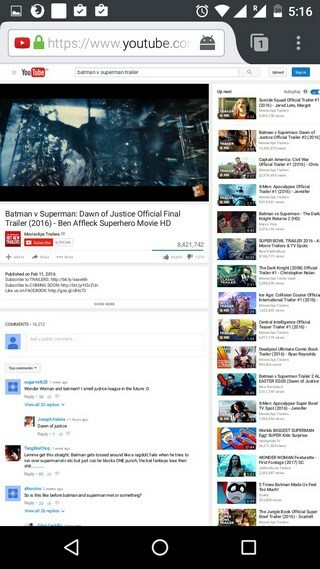 Start off by typing YouTube.com into the URL bar of the Firefox browser and press Enter. Once the YouTube web page is open, tap on the three-dot menu button on the top-right corner of the screen to access the settings menu. From the Slide-out menu, scroll down to find “Request Desktop Site” and tap on the checkbox next to it. This will make the desktop version of YouTube open up in Firefox, which is essential for playing videos with screen off. With YouTube open in Firefox as the desktop version, you can go ahead and search for the video that you want to play in the background. Once you hit the play button on the video, go ahead and press the home button on your device. You will notice that even after exiting the Firefox browser, you can still hear the audio from YouTube playing in the background. You can now continue to listen to the audio and even turn off the screen while the audio continues to play in the background. Are you psyched that you can now play YouTube with screen off on Android? Do let us know your thoughts in the comments section down below.